The Spokane, People of the Sun, are a Native American people who originally inhabited northeast Washington, northern Idaho and western Montana. They now reside on the Spokane Indian Reservation, a 159,000 acre reservation. Their tribal headquarters is in Wellpinit, Washington. They actively seek to preserve their cultural and linguistic traditions. Their tribal vision statement says, "Our vision is to achieve true sovereignty by attaining self-sufficiency. We will preserve and enhance our traditional values by living and teaching the inherent principles of respect, honor and integrity as embodied in our language and life-ways. We will develop strong leadership through education, accountability, experience and positive reinforcement." (Quoted from Tribal Website). The majority of Spokane follow traditional ethnic religions and the Dreamer Faith. 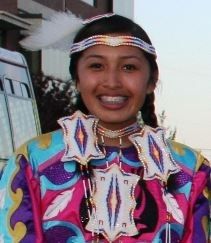 For more information, see the Spokane Tribe website. Pray God will reveal that Jesus Christ is way, truth and life for all people. Pray God will raise up evangelical Spokane to plant churches among unreached Spokane people.